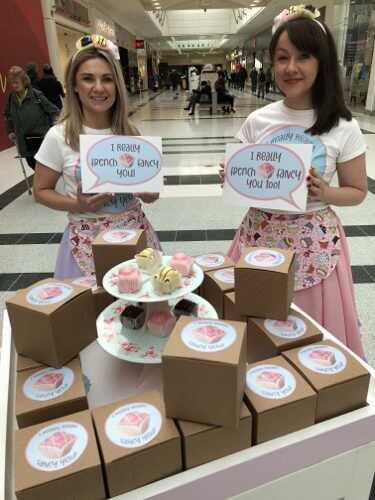 Sweet love will be in the air at Thistles, Stirling this weekend as two delectable ladies, Madam Fondant and Mademoiselle Patti Cerie, bring a touch of French Fancy magic to shoppers. There ain’t nothing sweeter than a French Fancy and whether the search is for the perfect Valentine’s gift ahead of the big day next week or just doing some general shopping, the two fancy madams will be gifting individually boxed French Fancies on Saturday 9th and Sunday 10th February for lucky recipients to pass on to loved ones (or indulge themselves! ).